The often hectic routine of getting your kids up, washed, dressed and out the door for school can sometimes mean that a healthy breakfast falls through the cracks —but it doesn’t have to. We’ve rounded up some easy, on-the-go meal ideas that will help your little ones stay focused and ready to learn throughout the morning. By adding some maple syrup and a dash of vanilla, your little one will think they’ve hit the dessert-for-breakfast jackpot with this easy overnight chia seed breakfast pudding from Chocolate and Sea Salt. But because it’s chock full of good-for-you elements like vitamins, fiber, protein and calcium you can feel like Super Mom (or Dad) for serving it. Make a batch before the school week begins, dollop a serving into a Thermos Food Jar (like this one that even comes with a spoon) and send your child to school with a nutritious to-go breakfast. Anything that saves us money and time is tops on our list — that’s why we are loving this genius slow cooker breakfast casserole idea from Iowa Girl Eats. Sure, it’s hearty enough to feed a family of five for a no-fuss Sunday brunch, but it’s also great for extending your budget during the school week. 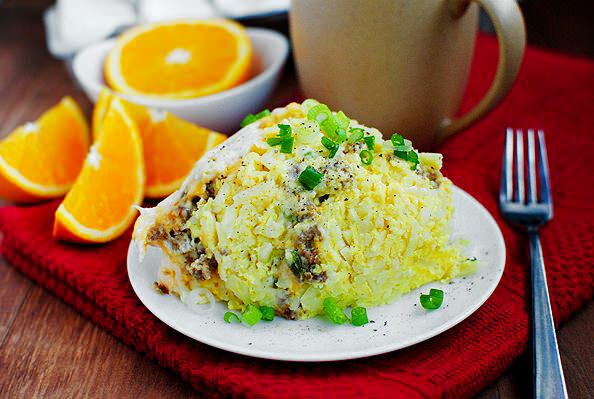 This “crowd pleaser” layers frozen hash browns, breakfast sausage, eggs, and shredded cheese in a slow cooker —it’s simple and delicious! Make it over the weekend and serve it to go in an insulated container to keep it hot (try this one). Blogger and mom Carrie Lindsey knows the joys of having a wholesome breakfast for her little learners prepped and ready the night before school. With her easy kid-friendly breakfast parfait idea, you can, too! 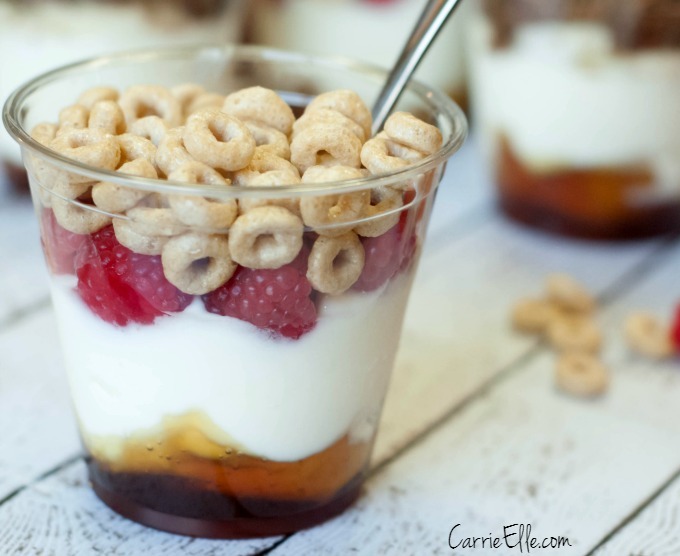 Carrie uses budget-friendly ingredients like honey, Greek yogurt, fresh fruit and cereal to build her parfaits, but the combinations are limitless. The trick to pulling it off is to make sure everything is layered correctly so the more delicate ingredients don’t end up a soggy mess. Keep it cold and ready to eat in a snack jar like this one from Thermos. 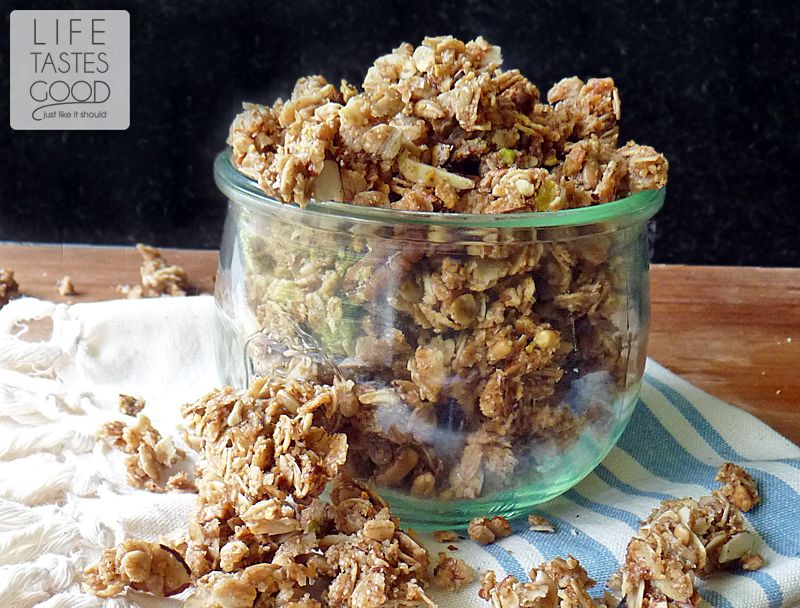 This granola recipe from Our Life Tastes Good combines a healthful mix of nuts and grains for a breakfast that not only tastes good, but is great for you. Dish it up with yogurt, milk, honey or just on its own — either way, you’re kids will love it for breakfast, lunch or an easy after school snack that won’t ruin their dinner. 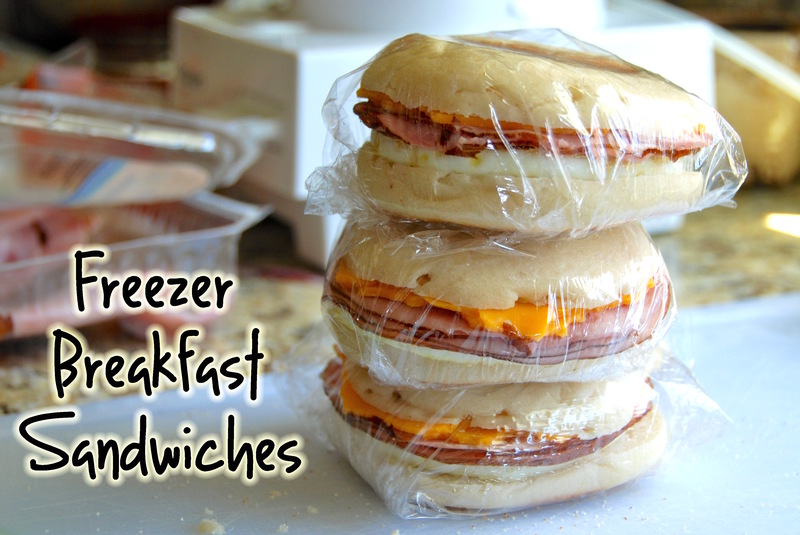 There will be no more excuses for skipping the most important meal of the day with this clever idea: freezer breakfast sandwiches. Blogger Jess Parrish of Jess Fuel tried the pre-made frozen variety, but found the list of inorganic ingredients unsettling. Her homemade versions are just what you would expect, easy, nourishing and packed full of flavor. 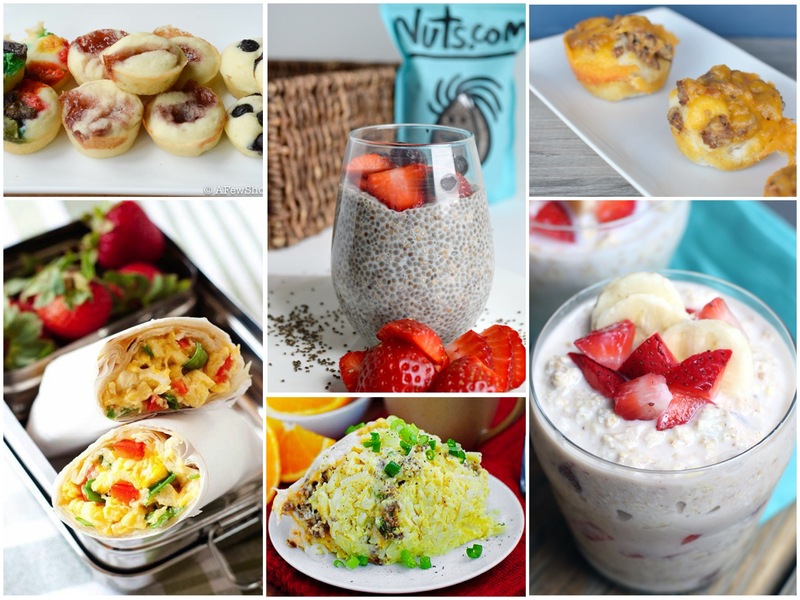 Make a batch on Sunday and be breakfast-ready all school week! Best of all, these little goodies are super easy to take on the go (try this thermo sleeve). 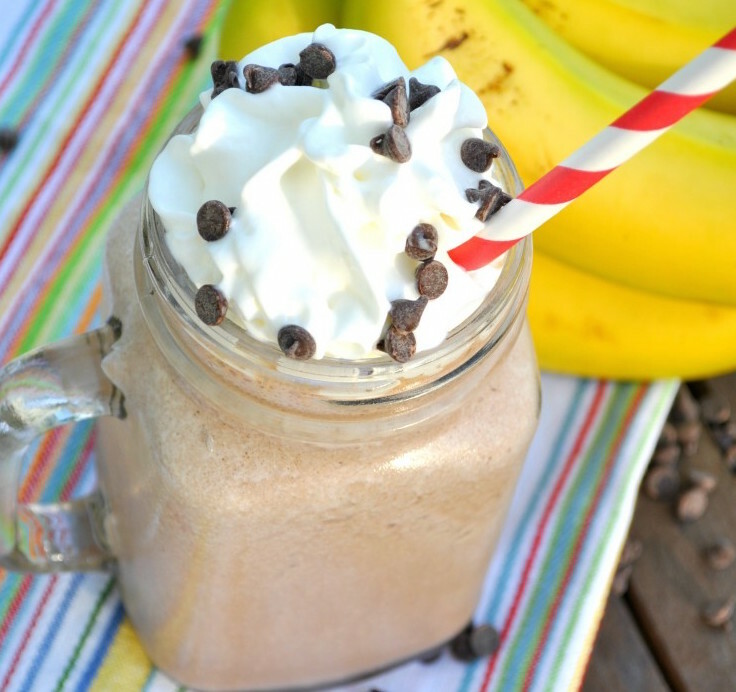 On those humid and hot mornings, there’s nothing better than a cold beverage, like this healthy breakfast chunky monkey smoothie from The Seasoned Mom. Full-time mom and part-time blogger, Blair, took the decadent (but unhealthy) flavors that go into Ben & Jerry’s Chunky Monkey ice cream and created a wholesome smoothie that’s perfect for an on-the-go breakfast that will help your little scholar stay focused at school. Grab the blender and head to the post for the full recipe — including the secret ingredient that pulls it all together. Trust us, your kids will thank you! 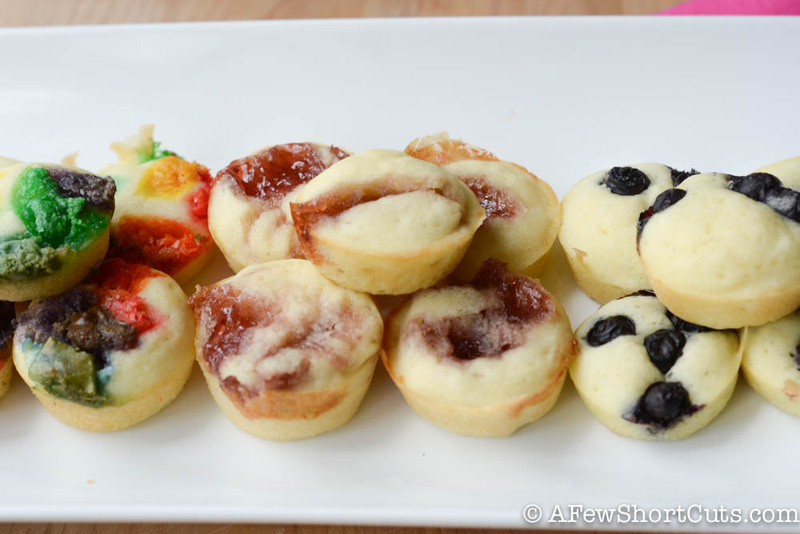 These brilliantly easy pancake bites from A Few Shortcuts are ideal for those weekday mornings when there never seems to be enough time to make a hearty breakfast. First prep a batch of your family’s favorite pancake mix. 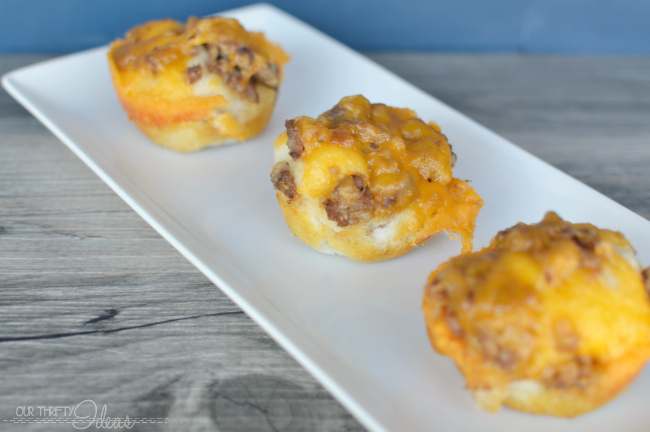 With the help of muffin tins you can customize each delicious bite. Just drop in berries, jam, chocolate chips — the options are endless and you can make them as healthful or as sweet as you want! Pop them in the microwave for a few seconds and store them in a to-go container to keep warm all the way to school. Let’s face it, every busy parent has had those mornings when breakfast consists of passing your little one a piece of cold toast as they are strapping their seatbelt in the car. 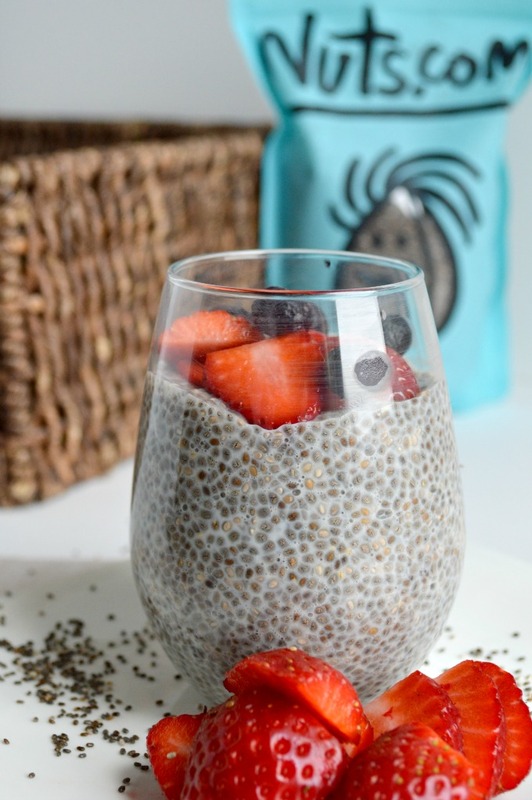 This quinoa breakfast on the go idea from Gluten-Free Cat will help restore some order (and nutrition) to your routine! The secret to this time-saving breakfast idea is to make a bulk batch of this hot, protein-packed grain cereal to have for the entire week. Add goodies like dried fruit, almonds and cinnamon for a tasty, low-fat breakfast that has the staying power your kids need. 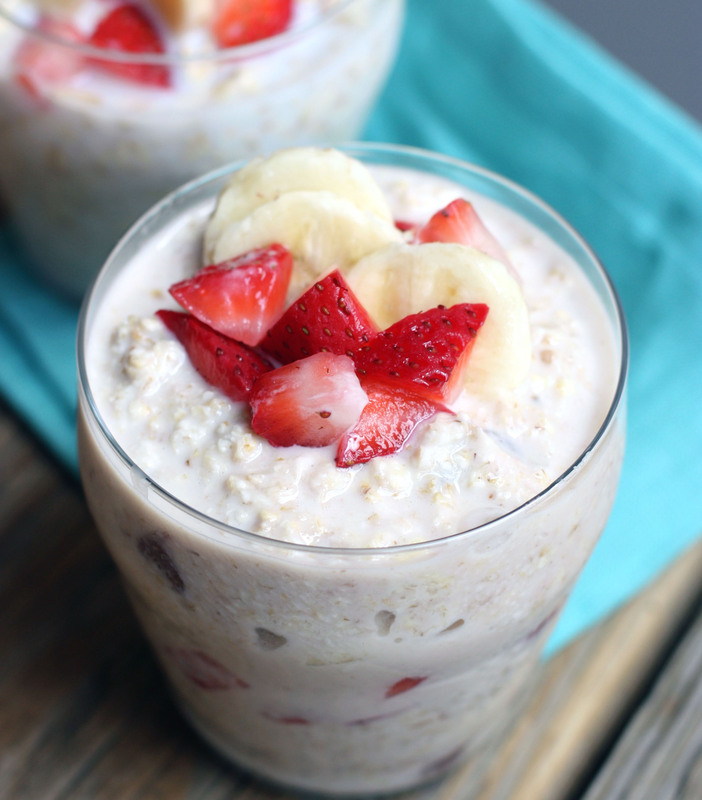 Overnight oats have become a trendy, go-to breakfast option for kids and adults alike. We love this strawberry and banana version from Tastes Better From Scratch for its convenience (take it to go in a jar or Thermos!) and traditional flavors that kids can’t get enough of. 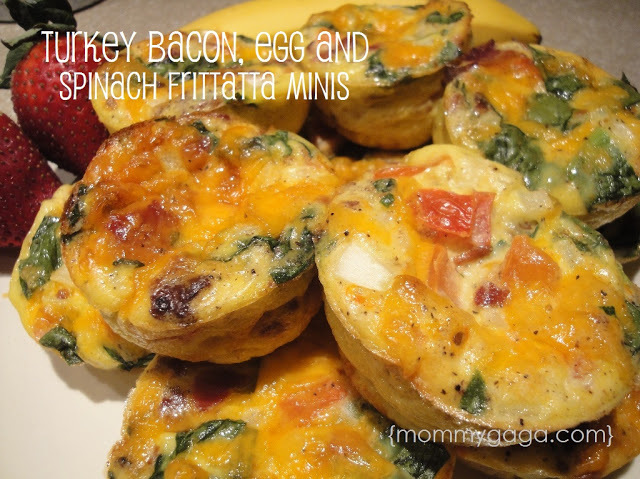 By adding turkey bacon to these egg and spinach frittata minis from Mommy Gaga, you’ve got an instant breakfast hit that’s both scrumptious and nutritious. Break out your trusty muffin pan to make a batch of these little protein bombs that will keep your kids full and focused all morning long. Blogger and mom Deanna enlists her children as “assistant chefs” and lets them stir, measure and pour the ingredients for an added dose of fun. These breakfast biscuits from Vanessa at Our Thrifty Ideas pack a three-fold punch — they’re simple to make, perfect for those busy school mornings, and a crowd-pleaser! 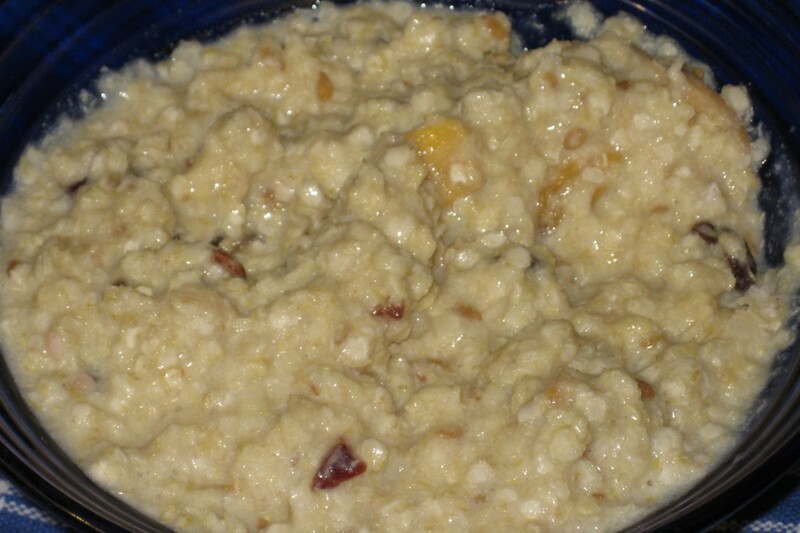 Make several batches ahead of time and freeze the amount you won’t be eating immediately. Right before you head out the door, pop a few in the microwave and either eat right away or take to go for a hot breakfast. Vanessa tops hers with sausage and cheese, but you can add veggies for vitamins or eggs for protein — anything your kids will devour. 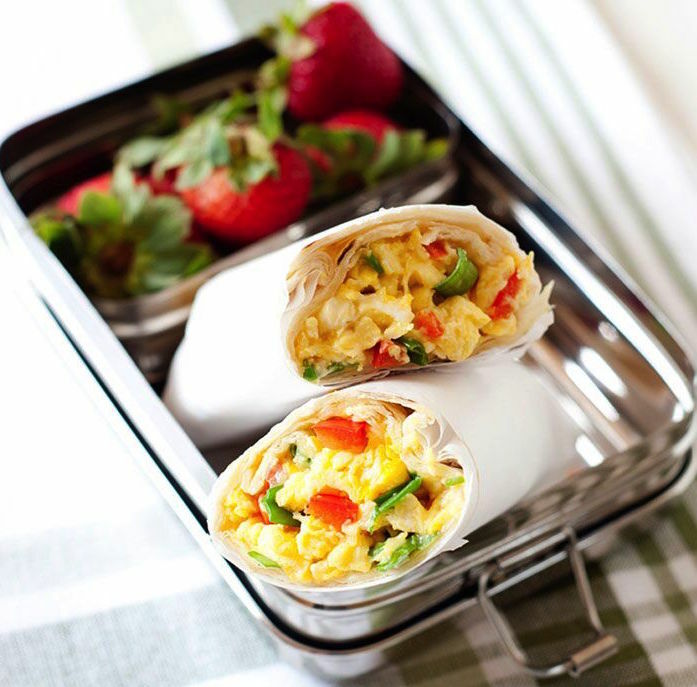 Mom to three (plus one exchange student) Laura is no stranger to frenzied early-morning routines, which is why she came up with this protein-rich breakfast burrito to get her family fueled and ready for the day ahead. And there’s no need to worry about the picky eaters of the household — you can easily make individualized batches to please everyone! It’s the perfect idea for families who need to take breakfast on the road.